Chocolate chip cookies are my weakness. I was dismayed to learn that “Chips Ahoy” maker Mondelez International (MDLZ) will raise prices in the US next year. The company blames higher commodity prices and freight costs. Those costs are rising in part due to the Trump administration’s trade policy. That might actually be a good thing: discouraging cookie consumption could help reduce our bloated healthcare spending. But the point is, the trade war is creating all kinds of economic distortions. And now, a far more important type of “chip” is getting pulled into the fight. The Trump administration says it is acting to protect our national security. While that may be true, freedom isn’t free... and this time, US stock investors may pay the price. A week after the 2016 election, before President Trump even took office, I wrote The Trump Trade War Already Started. The article was about certain technology trends that were already affecting international trade. I said Trump couldn’t reverse them but might make them worse. He has. A few months later, I showed via the president’s tweets that, in his mind, Trade and National Defense Are Now the Same Thing, and he was threatening to impose tariffs on contrived national security grounds. He went on to do exactly that—absurdly claiming that US allies like Canada, Mexico, Germany, and others were threatening the US by selling steel at lower prices than our domestic steelmakers. This let him bypass Congress and impose tariffs on his own authority. Some of those countries retaliated with their own tariffs on US goods, which are now harming American businesses and consumers. You know the story of “The Boy Who Cried Wolf”? It fits here. Claiming our allies are enemies, when everyone knows they aren’t, makes people doubt you when you point to actual threats. The president’s main target is China—and with good reason. Beijing does indeed engage in unfair trade practices that hurt US companies. But so do the tariffs Trump is using to demand change. There are better ways. This conflict is about more than trade, though. China is the main rival to US dominance, particularly in Asia. 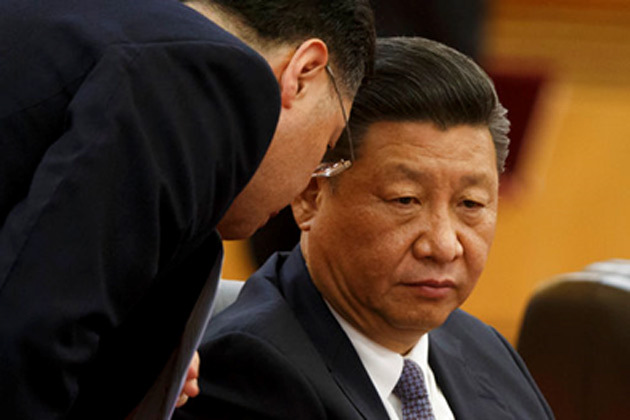 Chinese President Xi Jinping has big plans for his country. One thing Xi very much wants is for China to not depend on US companies for key technologies. The problem is, his own industries aren’t yet able to provide everything China needs. From the US perspective, it doesn’t serve us to give potential military rivals access to technologies that can be weaponized. Hence, we have long had export controls on certain products. The problem arises when the same technology has both military and civilian applications. US companies naturally want to export as much as they can... but sometimes the government has to say no. The Justice Department also filed criminal charges against Fujian Jinhua for allegedly stealing US trade secrets. 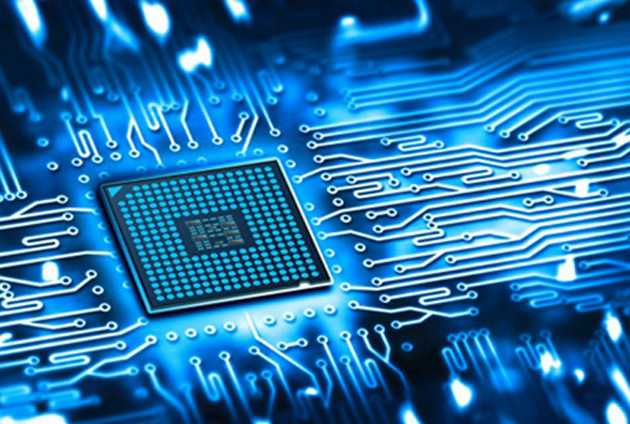 Other recent reports said China inserted spy chips in US-bound electronics. If true, both those are bad. But the Commerce Department’s action may be more significant. The US government’s point is not just that the Chinese would use US technology for weapons. It deems Fujian Jinhua a problem because it can “threaten the long term economic viability” of US companies that make defense products. Your no-fee IRA from a bank, broker, or mutual fund may be convenient... But it’s a no-freedom IRA. It blocks you from the higher profits and faster growth possible when you have full control over your IRA investments. It’s not hard to gain that control and start piling up the rapid tax-free returns you want for your IRA. If the Pentagon needs something from your company, and a Chinese rival might successfully compete against you, the US government will protect you by preventing other US companies from selling to the Chinese rival. Now, is this a legitimate national security concern? I don’t know. We know the administration feels free to invent imaginary justifications for such moves. But let’s concede for the sake of argument that Fujian Jinhua really is a threat. We have to do this because protecting America comes first. That’s still a problem, and here’s why. 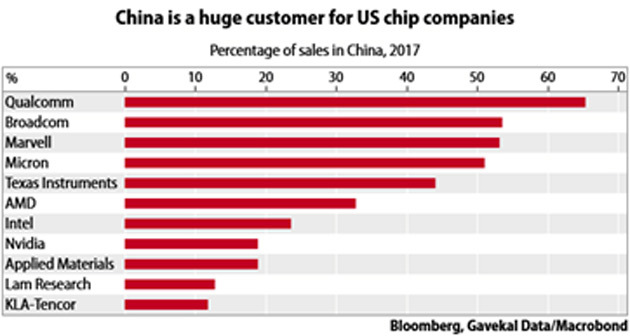 The US semiconductor industry depends heavily on exports to China. For several large companies, it is more than half their sales. If we’re going to restrict exports just because some Chinese companies might someday outcompete US companies, what will Beijing do? It will accelerate efforts to replace those US exports that Washington hasn’t already stopped… and an entire American industry could collapse, or at least shrink dramatically. The potential harm here is enormous. Many thousands of American jobs could disappear, with massive, permanent damage to workers and their families. Again: Maybe we just have to do this. I want to defend the US from potential enemies as much as anyone. I’m a veteran who swore an oath I still hold sacred. But if this is what we must do, we should recognize it will have a cost, as surely as sending soldiers into battle does. Economic warfare isn’t free. Given the president’s willingness to impose tariff costs on American businesses and consumers, I doubt he understands this. But he will notice when those companies lose half their sales and their share prices collapse, possibly bringing the rest of the stock market down with them. Make sure you’re not in the way.